What is Not Included 10 euros per person for the boatrips or any drinks/snacks are not included. NOTE : In case you would like to spend more time in Paleokastritsa of course you can but we will not go to Bella Vista! 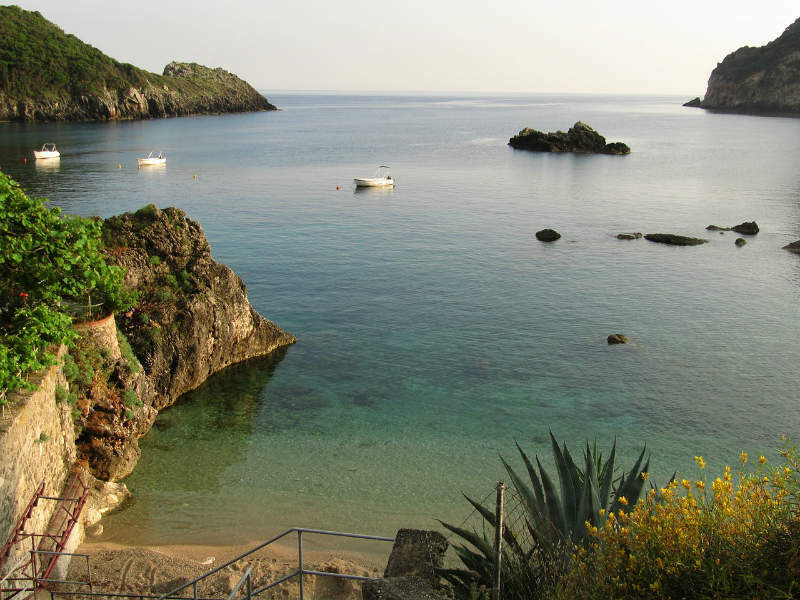 A swimming suit, towels, a hat, sunglasses, lightweight clothing and comfortable walking shoes are recommended. 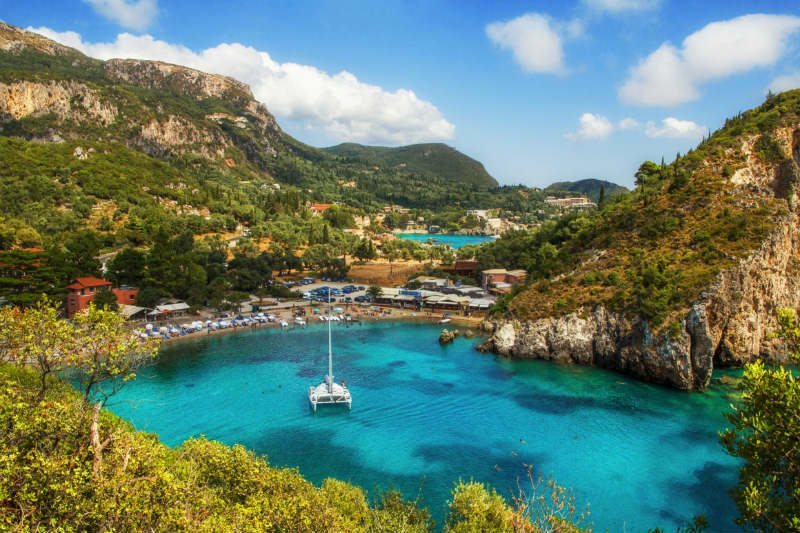 If you have the desire to swim in the crystal clear waters of Paleokastritsa then the Amazing Paleokastritsa Tour is the one that you should book. 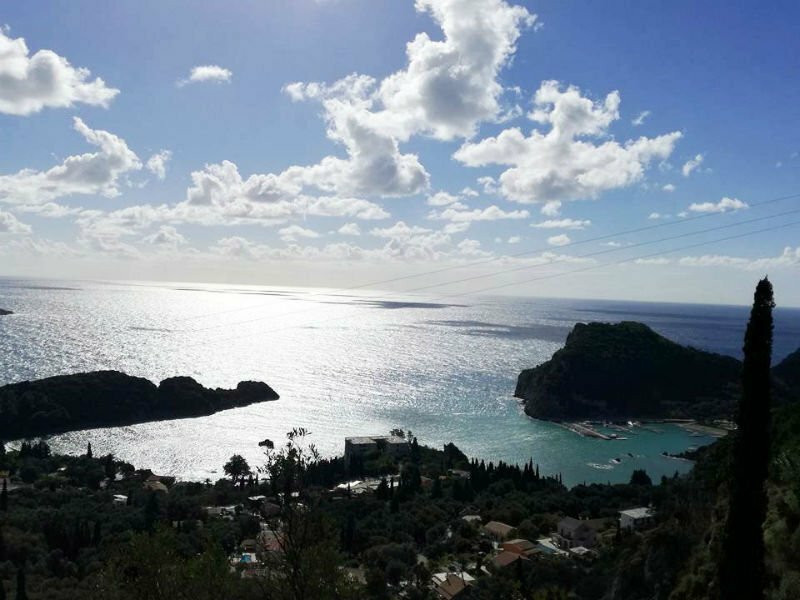 We will drive to the west part of the island to an area called Paleokastritsa which is one of the most amazing areas on the island and famous for the different colours of the waters. Its green cliffs descending into the crystal blue/green waters, creating the most idyllic bays. 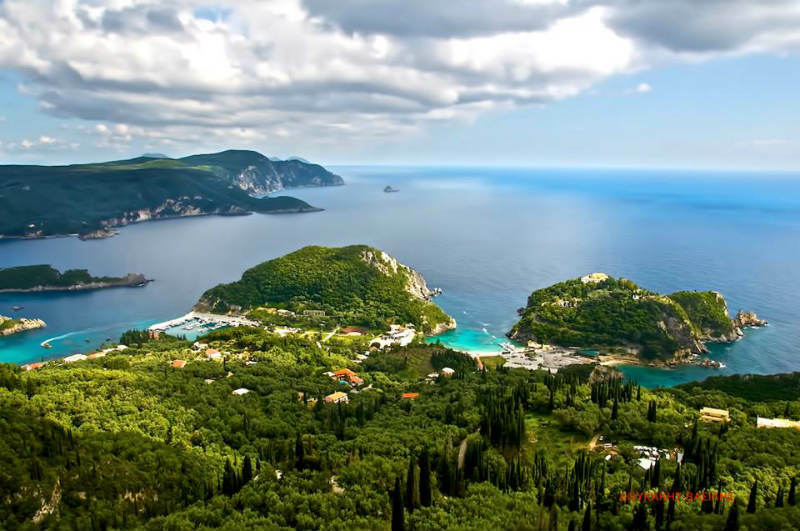 Amazing Paleokastritsa is known as the Capri of Greece. We will stop on the main beach of Paleokastritsa where you can go swimming (about one hour) and if you wish you to explore the area by boat and see the small caves, the blue eye, and some of the bays of Paleokastritsa, you can go on the boat trips. The duration is 30 minutes and the cost is 10 euros per person (you will pay the boatman). After seeing rhe amazing Paleokastritsa we will go to Bella Vista. We will drive up the hill through village Lakones and stop at Bella Vista with the breathtaking views if we have time you can enjoy a drink and the best baklava or other delicious cakes while enjoying the view. Also at this stop you will find two shops in case you wish to buy some local olive oil, herbs, embroideries or souvenirs. At the end we will drive back to the port/hotel.